A Simple Jew: "One of the greatest inventions"
most rabbonim in eretz yisroel hold that phones must be "kosher". 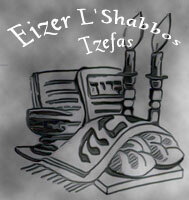 ie only phoning and not texting or internet, do rabbonim in america not hold the same? Better don't start this. This was used as a business scheme, where some smart dealers got exclusive offers of "kosher" phones, and ripped a lot of money on this. Because of that, people in Eretz Yisroel don't hold of this thing. Content can be kosher or not kosher. Not the phone / device itself. A Simple Jew: Nice point. I also have heard somewhere before, that since today everyone's speaking on cellphones, speaking in public to someone not visible doesn't look too strange, so doing hisboydedus will not look very strange too. Regarding Blackberry: I'd recommend some open source platform (like Nokia N900 with Maemo, or upcoming Meego phones). It fits more in Yiddhkeit values, IMHO. This is somewhat involved subject. "Open Web and spiritual progress"
Is it kosher to make open source software? Shmerl, unfortunately you are misinformed as many Rabbonim have signed there name to a document with details about cell phones and internet usage. It is big names from the Litvish gedoilim. I have seen it myself recently when it was raised in Yeshiva, following the Rosh Yeshiva attending a meeting with these gedoilim. I'm not misinformed. There was a recent case, when some dealers from Rav Elyashiv's circle produced a document related to the 'Cheyn case' "signed by Rav Elyashiv". It came out later that he didn't even see the document at all. Those dealers tried to back off, but it was too late, the info bacame public and the scandal turned really ugly. This whole issue with phones is similar to that. Shadow business figures produce such documents, making rabbonim to sign them (rabbonim might as well believe they are doing it for the right cause). In the end - shadow dealers get their money on those who rush to buy "kosher phones" from them. In essence - it's bogus. As I said - the content can be kosher or not. Not the device itself. As a “dumb” phone user, I haven’t paid much attention to the smart phones. But when a friend showed me what these smart phones can do, I had an inspiration for creating my own Jewish “app” or program. To date, there are only a few hundred Jewish-themed apps. Some, like “How Jewish Are You” and “ParveOMeter”, are not very impactful. But there are some real gems there. For the more Jewishly-literate user, “Pocket iSiddur” is extremely useful. While it lacks Tefilat HaDerech (Traveler’s Prayer) and Kriat Shema al ha-Mita (Bedtime Shema), it has all the main prayers, in both Ashkenaz and Sefard versions. And it’s free. “Pocket Luach” is a more upscale siddur ($1.99) as it includes localized zmanim, date conversion, holiday reminders and Tefilat HaDerech, too. The most comprehensive siddur is probably “Siddur” ($9.99) which includes the above features, plus Mizrachi and Chabad nusachim. “IBlessing" not only tells you which bracha to make on which foods, it even has an audio feature for a beginner to hear the bracha pronounced slowly. There are several apps that put sefarim into your device. “Talmud Bavli” ($2.99) is exactly that – the entire Talmud Bavli. You can dial a wheel to any daf, and zoom in to read the text clearly. “The Babylonian Talmud” is the entire 1918 English translation of the Talmud by Michael Rodkinson. ITalmud is pricier ($19.99) but packed with features, including hyperlinked commentaries, text search, daf yomi audio, and a world-wide daf yomi shiur finder. Imikvah ($7.99) is a new app that helps simplify the practice of Taharas haMishpacha (Family Purity) with a calendar mikva-finder features. Rabbi Seinfeld: You shouldn't focus on iOS alone. Lot's of people are using Android and other systems. If you want your program to reach more consumers - you need to focus more on cross platform development (I know this issue is very messy in mobile field right now, but any serious project should take it in account). Shmerl, you remain uniformed I am afraid. I do not argue with you that people may abuse the system to make money on phones. However, my Rosh Yeshiva here in Eretz Yisroel attended a meeting with gedolim present who discussed the matter and issued a paper which they signed at the meeting. it was then fed back to the yeshiva. This is not a phone company misuing information - there were no phone companies present, just rabbonim. yes people may put names of rabbi's to paper to make money - this is a seperate issue. the point is there is a large group of gedoilm who hold that a phone should be kosher. my question is - do american gedoilm hold the same way? Your point of the content can be kosher or not, and not the device is very cute, but not the point at hand. The abuse of this issue by shadow dealers who sell "kosher phones" discredited it altogether in the eyes of many. I know this as a fact. It could have started as one of the similar anti-Internet campaigns, but it failed to even look serious and appropriate. Most realize, that it's de facto just someone's business scheme. The general corruption doesn't really help those rabbonim who support these statements to make their ideas taken seriously. In US amongst rabbonim there is no such public stance anyhow. The issue of the content vs the device is the key point. Declaring the device "non kosher" - is simply bogus. It's like saying that using a spoon is not kosher, because one can eat non kosher food with it. Shmerl, if daas torah hold an importance to kosher phones and internet, what companies do to make money is irrelevant. One cannot decide to go against daas torah just because some fools abused the situation to make some money. Daas Torah is always the ikkur. what companies do to make money is irrelevant. Not true. Corrupted schemes aren't called daas Toyro in the first place. Anonymous: On a side note, there is no such thing as daas Toyro dictated to all by some single authority at present. You should consult your rov regarding the practical Halocho. Those who are aware of the corruption - aren't eager to support it. Shmerl, I don't understand your stance at all. Daas Torah is obviously different for each community, but there are gedoilim in every generation which all rabbonim turn to, to see how the halocha is applied to modern day situations. 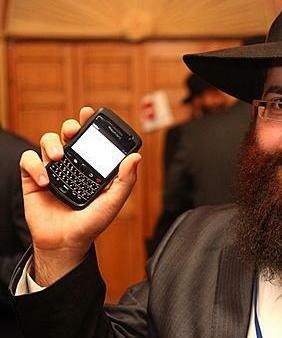 Daas Torah spoke out against such phones and internet. someone then came and took that to make a balagan, it doesn't change the opinion of daas torah. it's awful to say this opinion is not daas torah as it was great gedoilim at the meeting who wanted to put their name to this. I see a big difference between the attitude in chutz leretz and eretz yisroel on this. here it is widespread and accepted to listen to daas torah and act accordingly. there are many religious organisations one cannot be a member of without a kosher phone and commitment to kosher internet. it's a reality here. I'm not saying that it's a perfect situation, but since it was used loy lishmo - it became corrupted. Whether someone wants to support these things or not - their decision. If their rabonim are OK with that - so be it. But there are others, who aren't willing to support it because of monetary interesants involved. As I said - the whole issue in essence is not about Toyro anymore - it's about money. 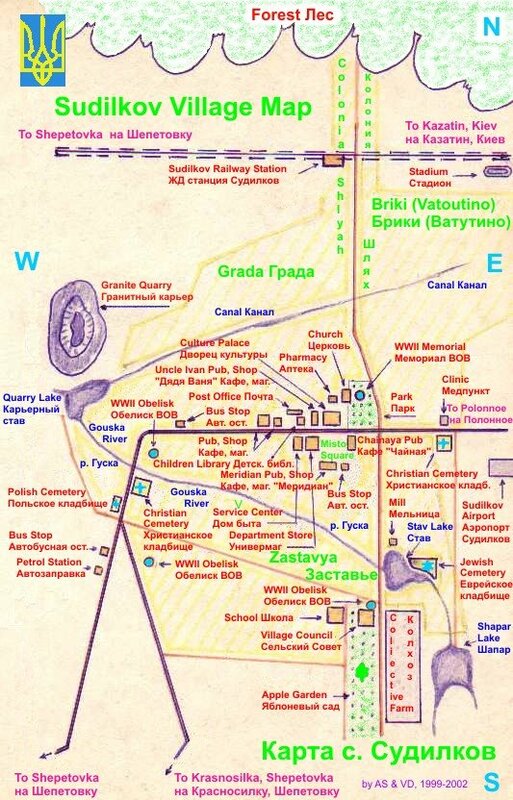 Ugly, yes, but it's the metziyus. 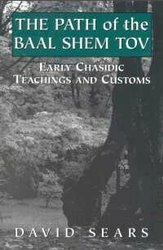 Daas Torah is obviously different for each community, but there are gedoilim in every generation which all rabbonim turn to, to see how the halocha is applied to modern day situations. it would appear some people will create any situation in their head to ensure they can follow their own ways and ignore daas torah. I think the difference is a reality which most people cannot take on. In the USA you are so steeped in the necessity for mobile phones and internet there are even "Jewish APPs" - dragging Yiddishkiet into the depths of the goyisher velt. Here in EY there is less attachment to such things and thus it's easier to accept. al oeste - I am ignoring this bizarre and presumptions comment based on lack of information and knowledge. "it would appear some people will create any situation in their head to ensure they can follow their own ways and ignore daas torah." It's well known and accepted that kol korehs and all publicized statements reputed to be from Gedolim should be verified and individually applied with the guidance of one's personal Rav. Kosher cell phones, sheitl lengths, where to donate tzedoko, where to send or not to send one's children to school, whatever. The major difference between Israel and America is that in America people accept that there isn't a singular Daas Torah, so people get less rattled when someone is following the psak of a different Rav than the signatures featured last week in the Yated. Your question whether the Rabbonim in the US have made statements against phones with Internet is a valid question. However, the US companies don't offer a non-internet phone so individuals must configure their own to block access (which you can do here in Israel too). Also the emphasis in Rabbinic announcements is more on how to deal with the Internet vis-a-vis youth - restricting or supervising access at home, guiding kids to avoid it elsewhere in a way they'll listen, etc. No, it's a totally perverted situation - some lobby trying to stuff their controversial view on others by means of banning education for their children. (I.e. "you can dare to disagree with our daas if your Rov also disagrees, but we'll throw your children out from schools, so you better don't dare" which really stands for "you better support selected businesses who sell kosher phones, cause if you don't - you'll suffer" sounds familiar, isn't it? Everywhere else it's called mafiosi methods). In essence it's all part of protecting the monopoly. Money, money, money. Far, far from daas Toyro. Back in the day, when one of the chassidim of Lubavitcher Rebbe started a program on the radio, in which he taught and explained Tanya (which became the basis for the Lessons in Tanya edition), many people came out against this, protesting that when so much filth (they probably meant rock-and-roll music) is transmitted through the radio, how can someone use the radio to transmit, lehavdil, words of Torah? Miriam - I completely agree with the following: It's well known and accepted that kol korehs and all publicized statements reputed to be from Gedolim should be verified and individually applied with the guidance of one's personal Rav. because this had been verified I was interested to know what the stance in america was and i appreciate your response. certified ashkenazi - slightly confused by your comment, but I am sure it is relevant. shmerl, i think it's best you stay living in the world you have created for yourself. My comment was regarding the attitude to a piece of technology being unkosher (and therefore deserving a ban) vs. its contents being potentially kosher or unkosher. oh i see. I think it's dangerous to bring the words of a gadol as big as the Lubavitcher Rebbe when potentially it could be out of context. For example a kosher phone could protect bochurim. I don't think such a phone would be considered "destroying the world". I understand your point, although, as I say I think it's difficult to bring from a gadol who was speaking about something in context and apply it to something else, without him being here to advise if we are correct or not. However, although we should ensure the content is kosher - we do have our dear friend the yetzer horah. thus kosher internet and kosher phone can be a great help to us. No one is saying don't have a phone - just have a kosher one. Anonymous: That's exactly the point. The content is the issue, not the device. Therefore "kosher phone" is not a sensible term. Some site can be called kosher or not kosher based on the content. But not the phone/computer/browser which accesses that site. Regarding the personal world - I'm glad I don't really have any shaykhes to these corruption issues. In States though there are some groups which periodically try to push similar brutal control methods on general public for whatever possible goals they have, but fortunately they fail to be accepted. I love this idea. We could speak to Hashem or to all our inner selves without looking insane, thanks to these cellphones!! "it gave a person the ability to walk on the street and talk to Hashem without giving the appearance that he was insane." This is brilliant! I too hate cell phones but I carry one to give my husband peace of mind. Many times during the day I speak to Hashem and this gives me the cover the rabbi spoke about. Thank you!